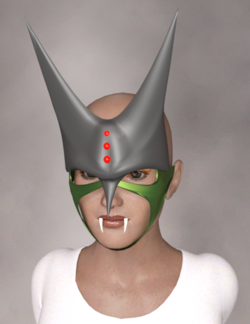 ジル・マスク is a half-mask, modeled by Takagi for MayaDoll and Victoria 1-2. It was based on Sister Jill's headdress from Cutey Honey, making this a cosplay resource. This page was last edited on 30 July 2017, at 06:41.